Interventional cardiology - the medical industry, basis of which is cardiology, radiology and cardiac surgery. It is based on the diagnosis and treatment of diseases of the cardiovascular system by means of catheterization through the skin. Interventional cardiology uses minimally invasive endoscopic method of intervention on the heart and blood vessels. Interventional cardiology does not require traditional operative intervention, general anesthesia, who always has a negative effect on the body. Time of Intervention is significantly shorter than when the operation. Reduce the time of hospital stay, and in some cases hospitalization is not required. Endovasal techniques have virtually no contraindications, compared with the operation and can be used even with a serious condition of the patient. Dates of rehabilitation are much shorter than after surgery. Modern computerized technologies of endovasal interventions - interventions provide high accuracy and reliability of the survey and shows practically at all diseases of the heart and blood vessels. So, in probing of heart can be viewed of its cavity, the condition of the valve apparatus, measure in the dynamics the pressure, detect congenital and acquired vices. When probing vessels is determined the state of their walls, skylight, the presence of thrombi and atherosclerotic plaques, as well as to accurately determine the level a lesion of coronary vessels, including vessels of small caliber. Coronarography is performed by using the optional introduction of contrast medium into a vessels. This study is the most reliable in the diagnosis of atherosclerosis, coronary heart disease, myocardial infarction. Application of interventional cardiology in the treatment of heart and vascular diseases are very widely. 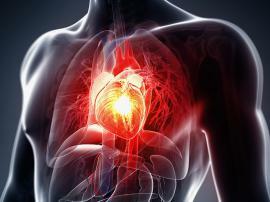 Primarily, this atherosclerosis and coronary heart disease, which as a result leads to myocardial infarction. Endoscopic interventions successfully implemented also in congenital and acquired heart defects. And thus there is no need for open heart surgery. The treatment of many types of cardiac arrhythmias - paroxysmal tachycardia, atrial fibrillation, arrhythmia also successfully performed by using endoscopic interventional techniques.